Contain soybean, celery, mustard, sesame and might contain product from fish. 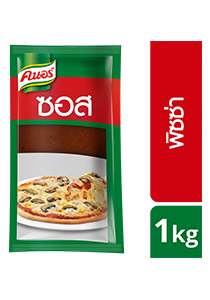 Spread Knorr Pizza Sauce 70 g. on Pizza dough, place meat, seafood and others. On-top with Mozzarella cheese then put in owen.